I picked this book up at the airport last night on our way home from Scotland for some light reading. It turned out to be an inspirational, enlightening, heart warming and powerful read. I was nudging my 10 year old daughter all the way home saying “listen to this” - she loved it too. The author Jaime Thurston is the founder of 52 Lives, a charity that changes a life every week with the help of nearly 100 000 people. The charity also runs kindness workshops in schools. 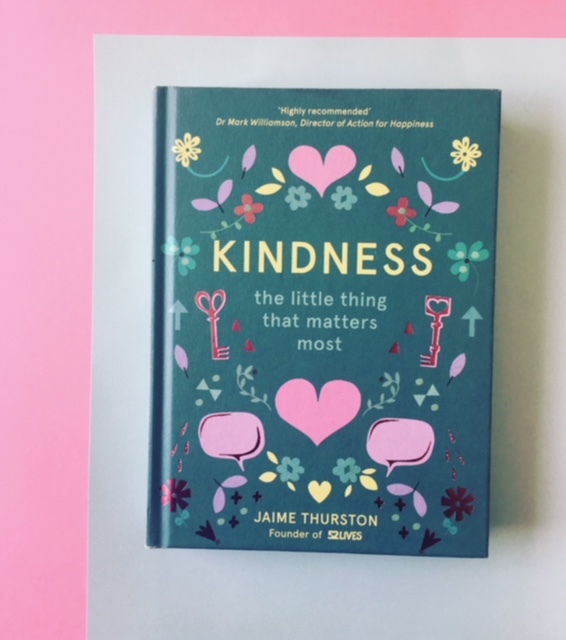 The foreword was written by Dr David Hamilton, who I went to see talk about the importance of kindness a few years ago in London. Another inspirational speaker on the subject. “Unexpected kindness is a powerful thing and even the simplest kind acts can have an astonishing effect because when kindness is shared, it ripples out into the world. Our everyday actions determine the kind of world that we live in and it’s the little things that matter the most. Let’s choose kindness”.